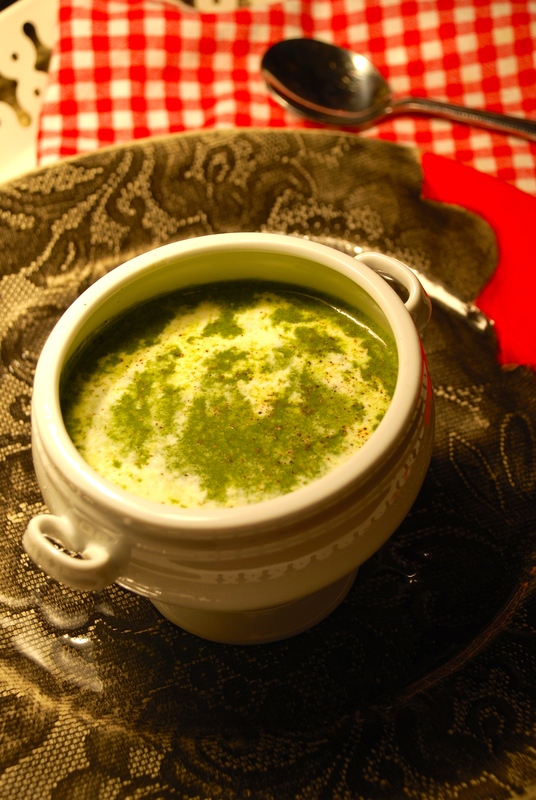 This is easily my favorite spinach soup. It’s relatively healthy, so tasty, and so warming. The day I made it last week, I think my body must have been crying out for iron, because I had the hugest craving for spinach! I have to say, just cooking this feels really healthy with a pot full of greens. There is actually no cream in this, milk is used to make it creamy. I just add a spoon of cream on top to garnish, which if one is counting calories you can leave out it tastes amazing still. 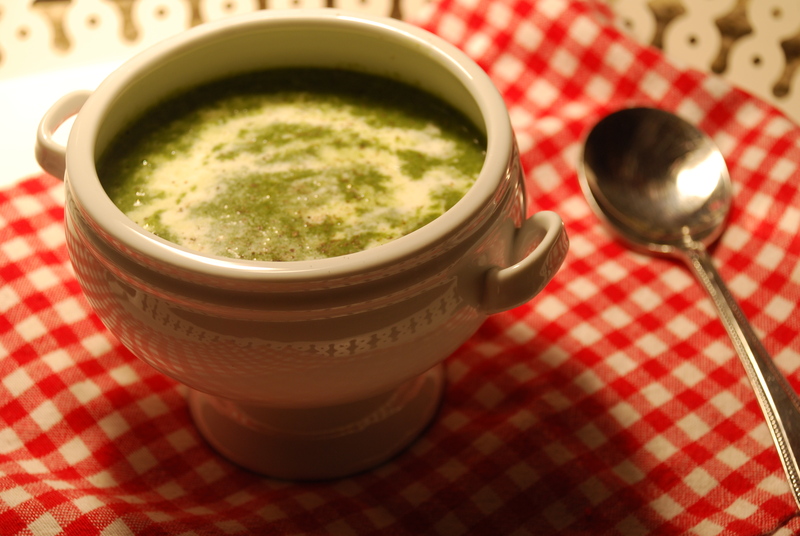 This soup and a nice warm roll of bread, is a great winter lunch in my book. 1. If using fresh spinach, wash and chop the spinach. Het butter in a large pan; add onion, cook until soft. 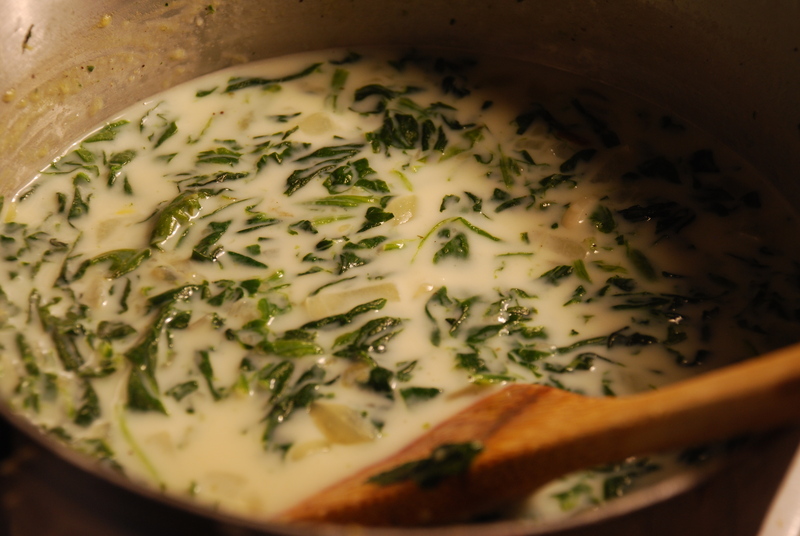 Add spinach leaves and cook, stirring until leaves have wilted and are tender. 2. Add flour, stir over heat until vegetables are coated. Remove mixture from heat, stir in stock; return to heat. Stir over heat until mixture boils and thickens. Add milk, nutmeg, and salt and pepper. 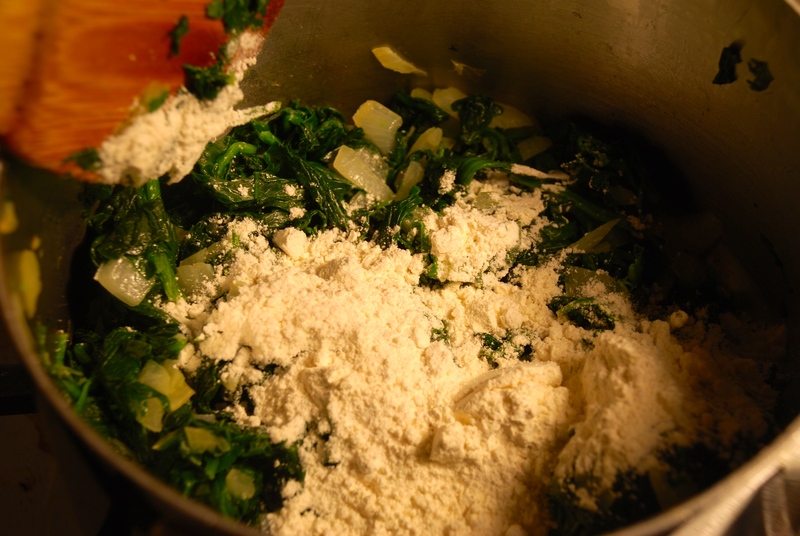 Cover, simmer for 15-20 minutes, or until spinach is soft. 3. 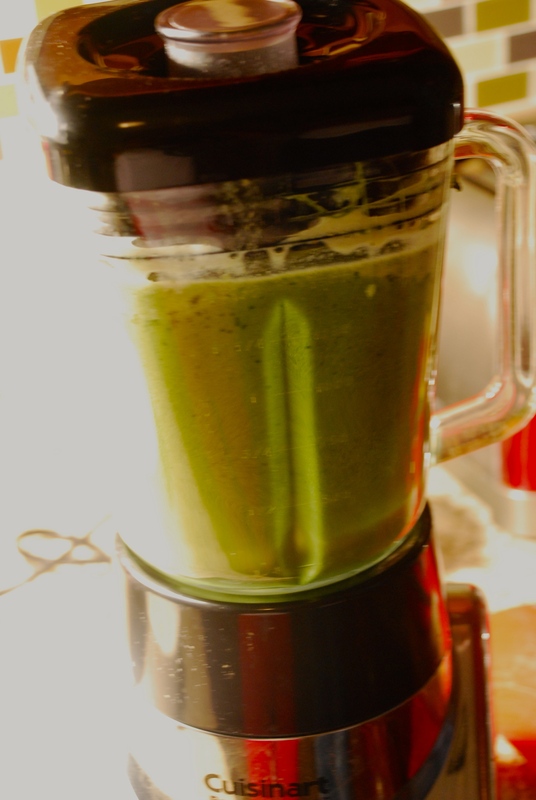 Cool soup slightly; process in batches in food processor or blender until smooth. Return to pan and heat through. Serve with croutons, if desired. 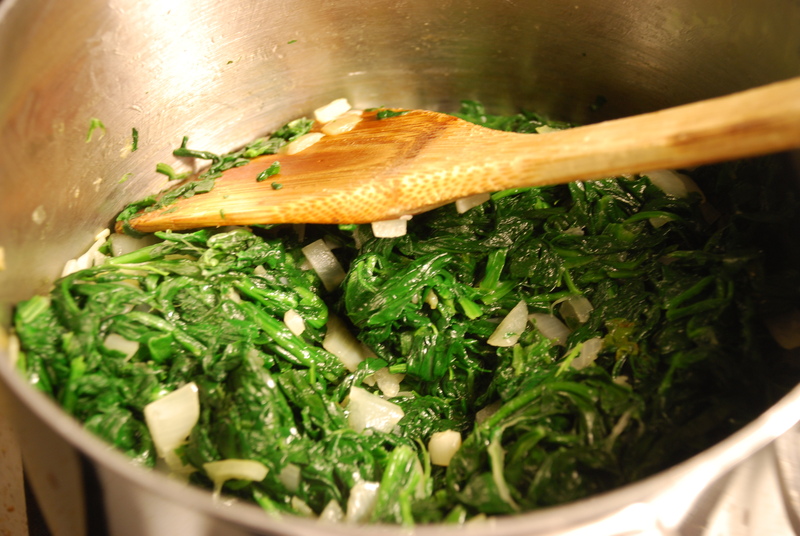 Note: For a darker soup, replace 1 bunch of spinach with a bunch of silverbeet. 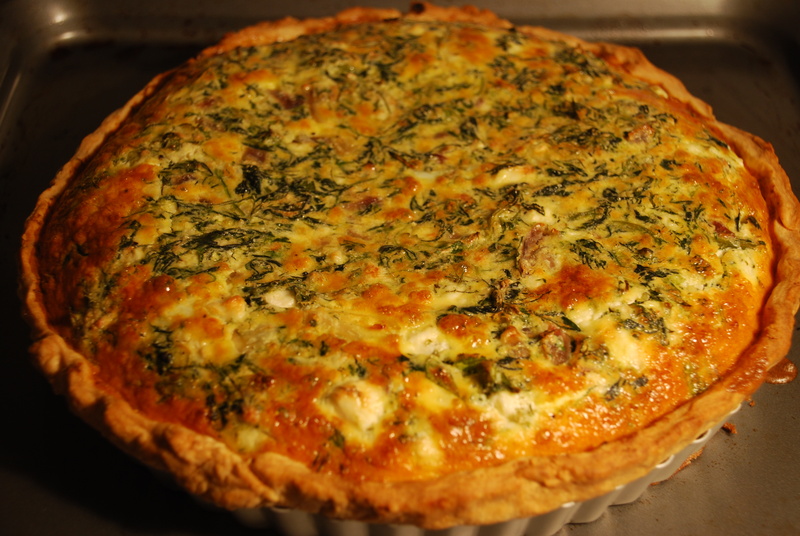 I have never made a quiche before. The whole process of making the pastry shell was a bit scary to me and I just never even entertained the idea in my mind. 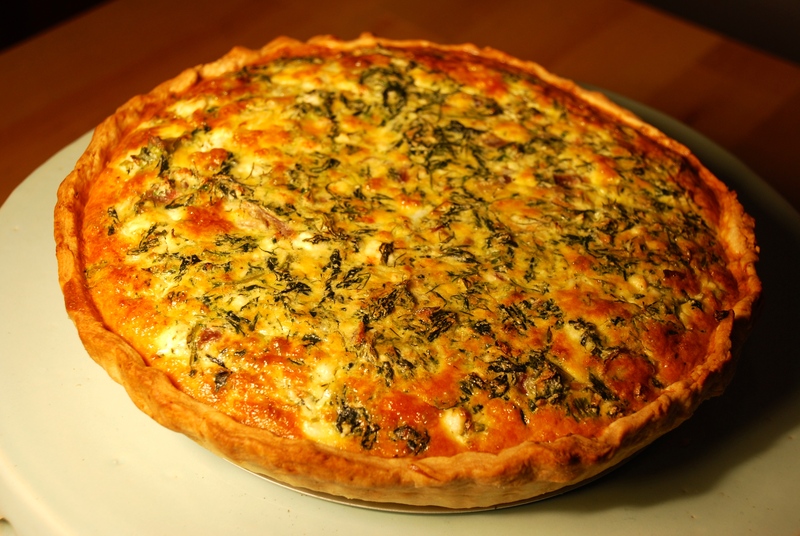 Quiche’s were best to be enjoyed in a nice cafe I always thought, who wants to make one at home…too much trouble! But then I got bitten by some bug recently, I thought I have a tart tin, and I saw some amazing pictures of rustic looking quiches, flicking through one of my French cookbooks. I also loved the beautiful tarts with the spinach and feta fillings from last summer in Greece, so thought ok, I might want to give this a try. 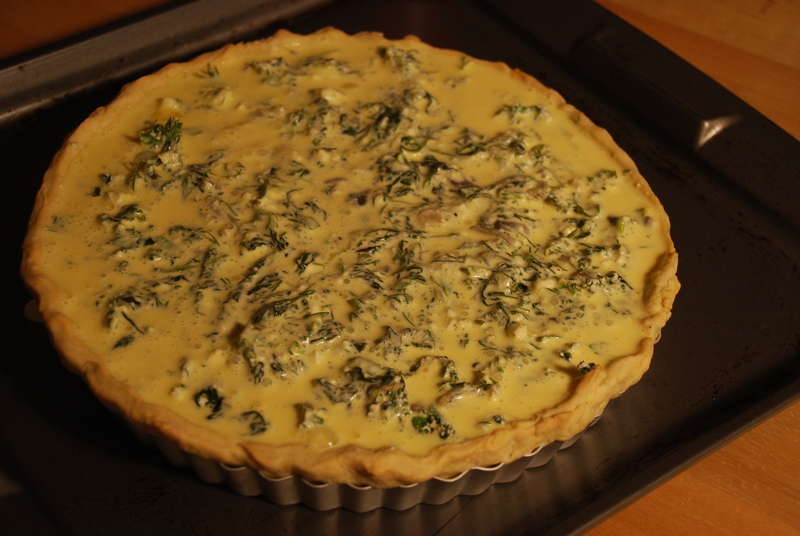 I was aiming for a filling resembling a spanakopita (the greek filo pastry crust with spinach and feta filling) which I love, the spinach, feta, spring onions, dill, parsley, and ricotta make for a pretty lively flavor not your boring basic spinach quiche which a lot of them can be. As it turns out making the pastry is really not that painful. I think the next time I make it it would take me under half an hour now that I have done it once. 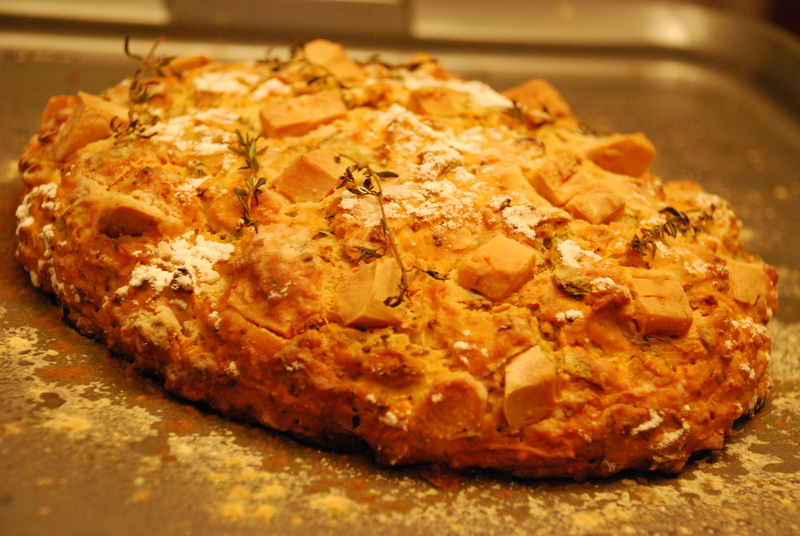 There is no kneading involved and its really pretty simple. You just need a bit of chilled butter, few tablespoons of ice water, flour and salt, could not be simpler. And something about making the filling and pouring that eggy custard over it is really satisfying in a domestic goddess sort of way. 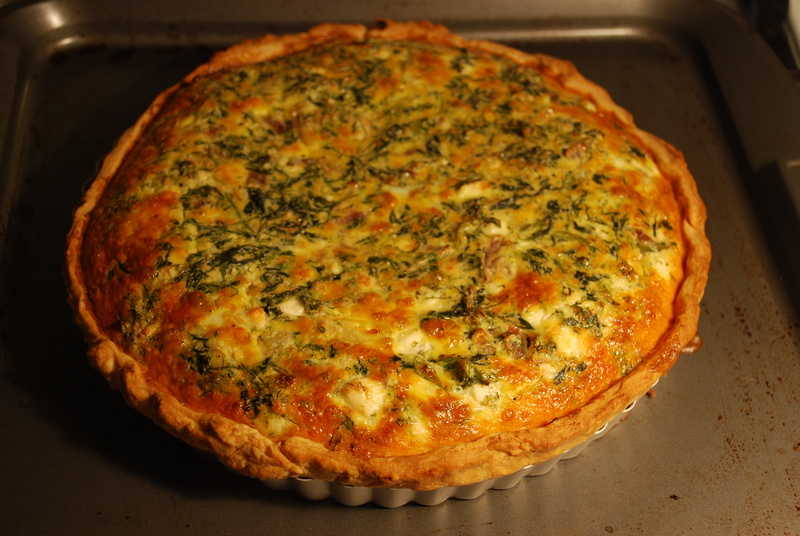 It tasted really good and am sure I will be making it again, along with the typical french quiches like quiche lorraine and endless other combinations. 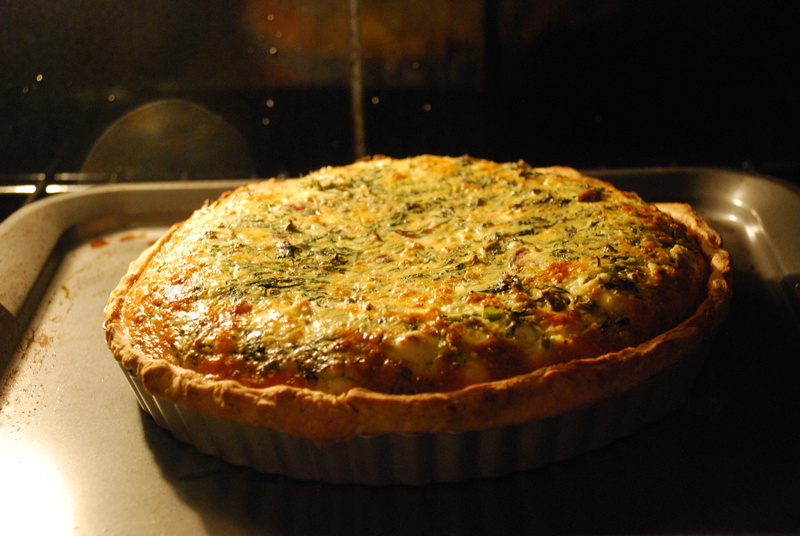 Glad to have tried making something new, and finally realizing the joy of baking a tart or quiche at home! Once you glance at your little rustic beauty baking in the oven, and eventually get to the point where you pull it out of the oven you will feel very smug with satisfaction indeed! Something so homely about the experience. 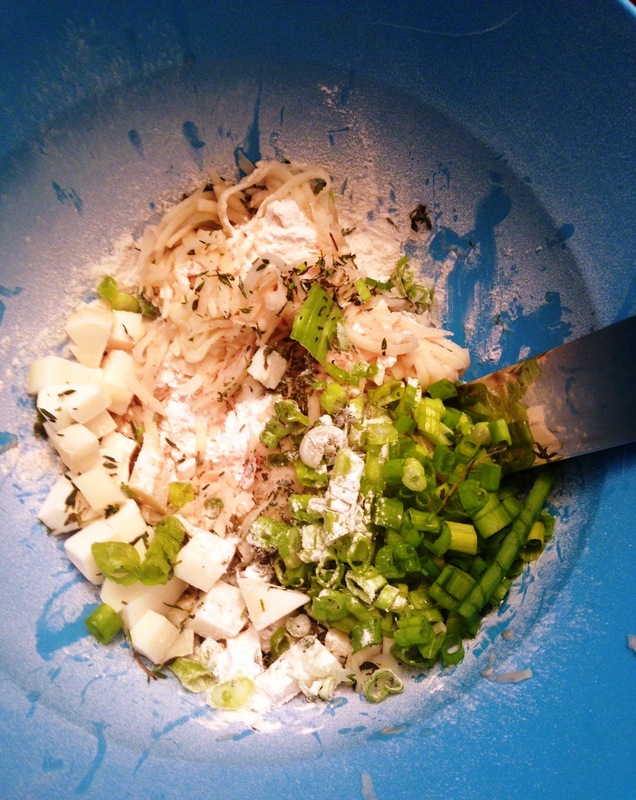 Place flour, salt and sugar in a food processor. 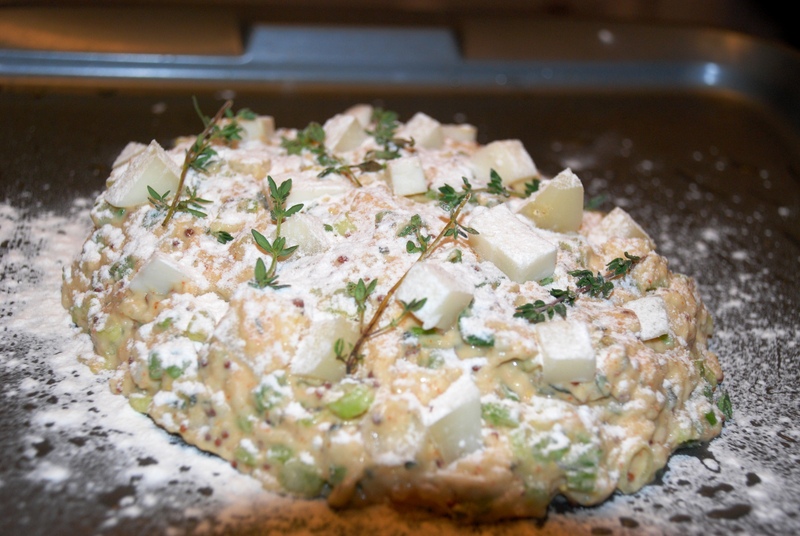 Add butter into the flour and pulse till it resembles a crumbly mixture. 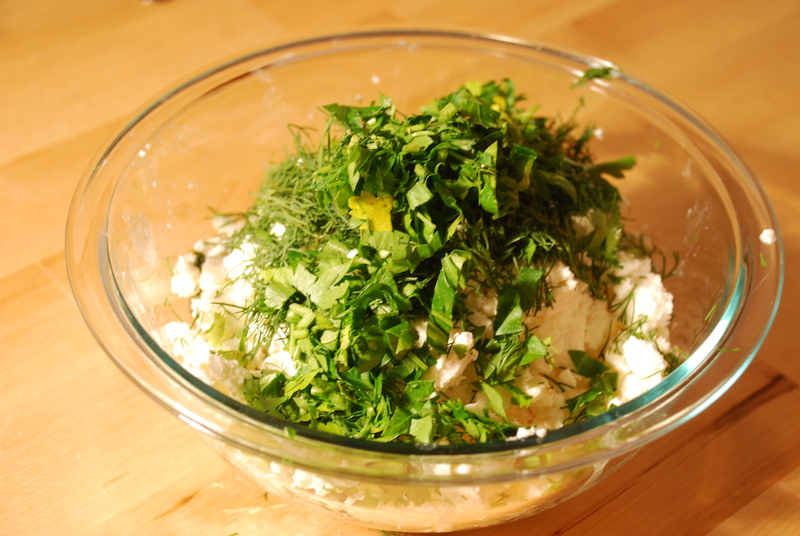 Now while it is running, add the egg yolk and a tablespoon of water at a time till it comes together into a ball. Should not be too sticky at all. If there are multiple small balls you can just combine into one ball with your hands. Wrap in cling film and refrigerate for at least 3o mins or an hour if you have time. 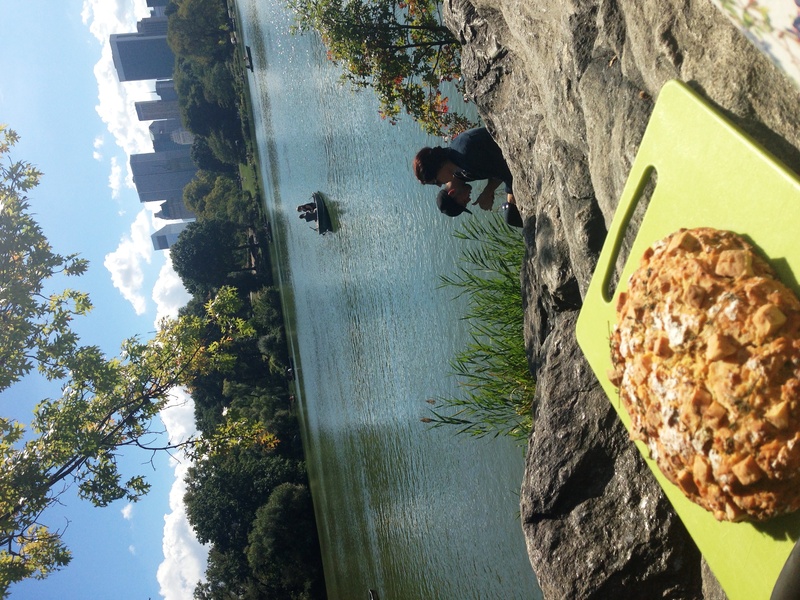 Preheat oven to 200 degrees C or 400 degrees F. Roll dough out bigger than your tart tin and place on top of the tin. Carefuly lift and push into the corners to ensure it covers evenly. Now trim the excess pasty off, but keep it a cm longer then where the tin ends. Pinch the pastry together between you finger and thumb and make a crimped pattern. 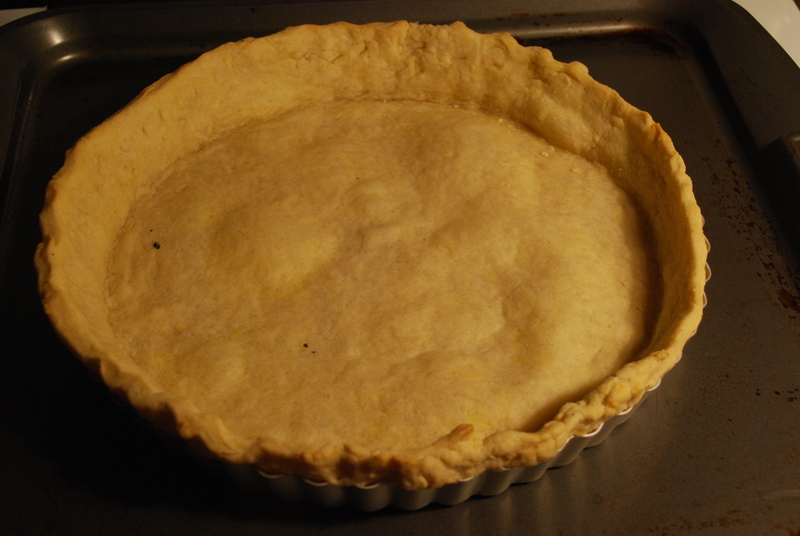 Place a parchment paper on on tart tin and cover with baking beans (I used a whole lot of coins I had sitting around, you can use uncooked rice also, just something to weigh down the pastry as it bakes so it won’t rise). Bake in the oven for 10 minutes, then remove the weight and bake again for 4 minutes. Your shell is ready! 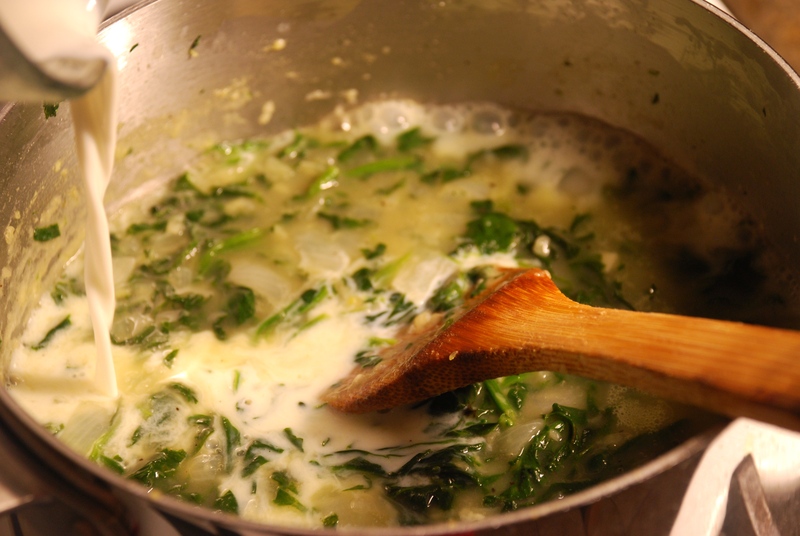 Heat oil in a frying pan, add the onions and cook till soft, add your defrosted spinach and all the other ingredients except the ricotta, feta, eggs and cream. Cook till all the water is gone and then set aside to cool in a bowl. Once, cool add the cheeses and mix together. 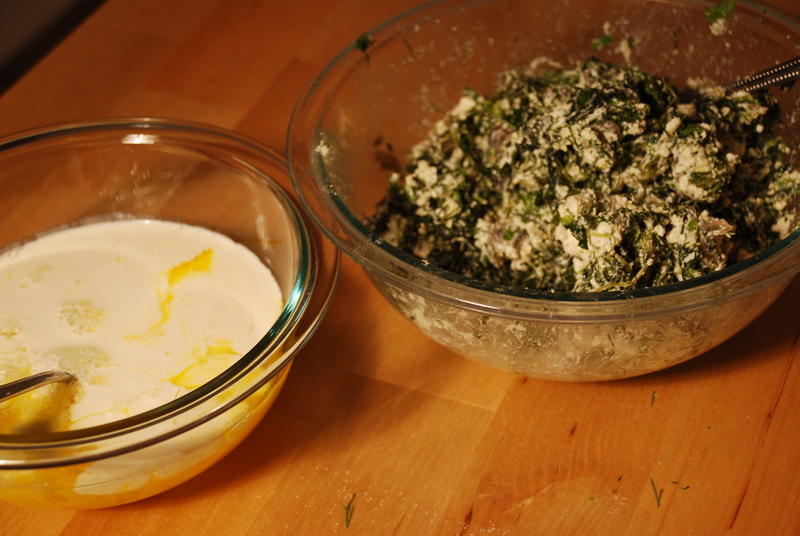 Now in a separate bowl whisk together the eggs and cream, with a bit of fresh cracked pepper. 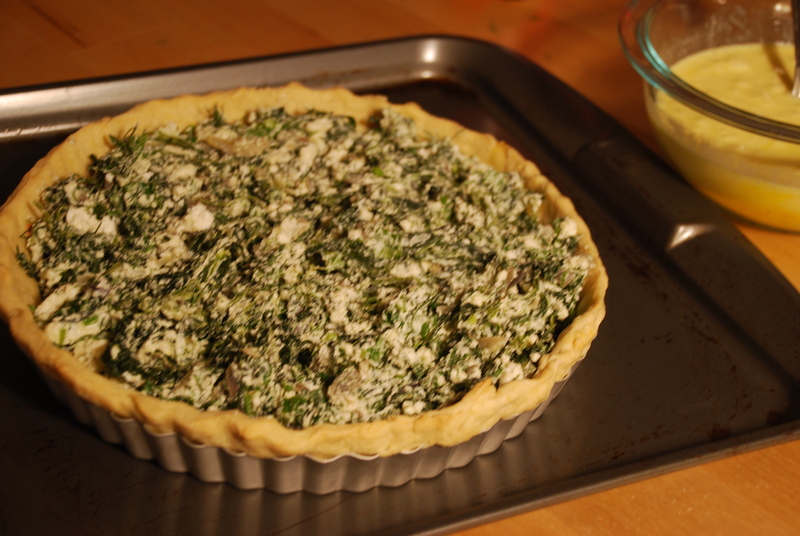 Place your spinach mixture in the baked pie shell, and spread around evenly. 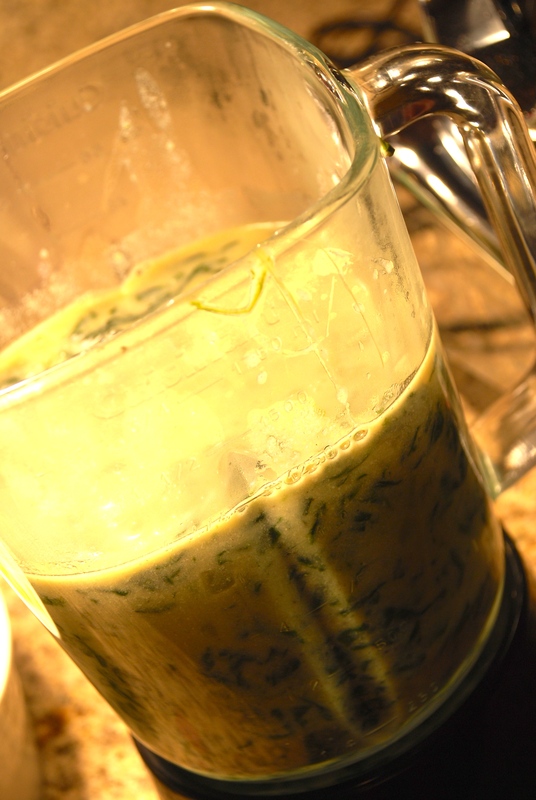 Now pour over the egg custard mixture and with a fork make sure the egg has gone in and around the spinach mixture. 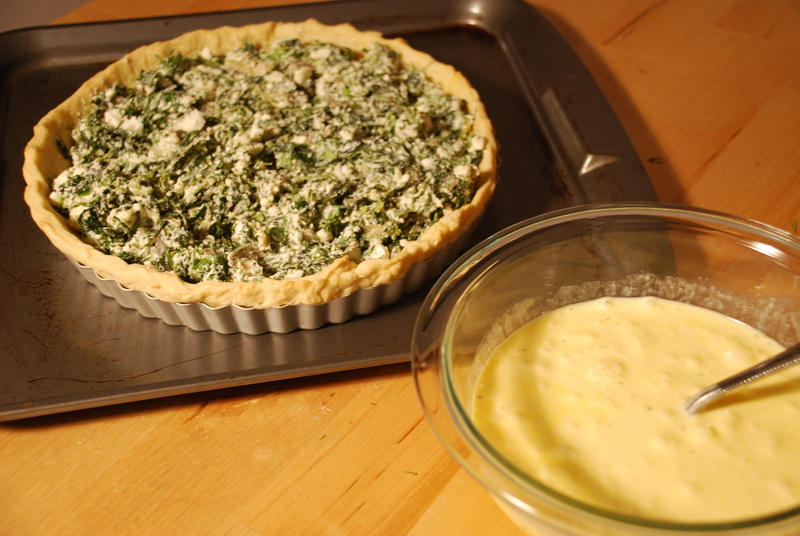 Bake in the oven for 50-60 mins or till the quiche is set and no longer runny.